I made a Glossier order and went on a Target run to pick up a few new goodies. I haven't done a beauty haul on here in a bit, so I thought I'd share some of the things I picked up! 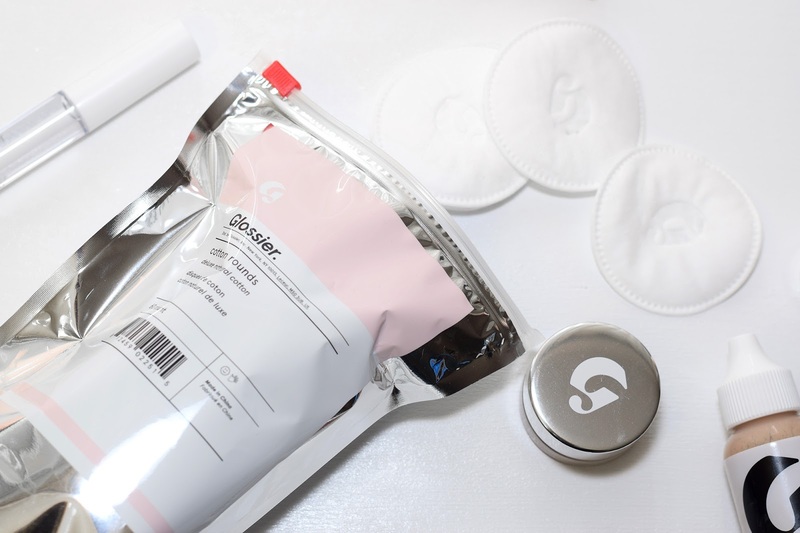 As you may know, Glossier* recently launched a new product called Solution and with it came the launch of Glossier* cotton rounds. I don't have acne-prone skin so Solution isn't super on my radar, but the cotton rounds totally were! I usually buy my rounds from Ulta, but the most recent batch I got was terrible - they totally left cotton fibers all over my face after each use. Yuck! 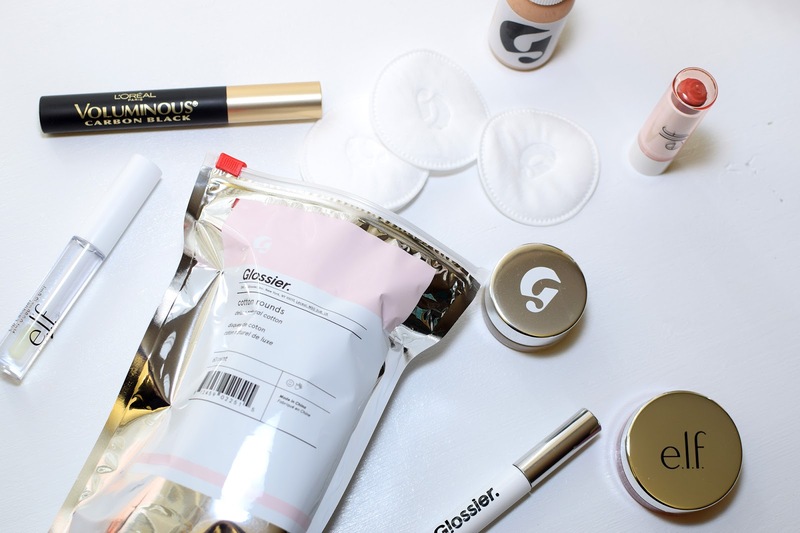 So far I've used the Glossier* rounds once, and they totally did the trick. I love them! After ages, I finally decided to pick up the Perfecting Skin Tint and Stretch Concealer. Again, I've only tested them out once but so far I'm into them. I'll definitely be doing a full face of Glossier* video on my channel in the coming weeks! I also picked up a new boy brow because my current one is running low. I bought it in brown since I've been growing out my natural hair color again so my eyebrows won't look too harsh in contrast to my hair. On my Target run I picked up a couple of e.l.f. products and my holy grail mascara, L'oreal Voluminous Carbon Black! This mascara is my tried and true, and no matter how many other brands I try out, I always find my way back to this one. I've been wanting to try out a cream blush product and I found this one from e.l.f. for only $4. I also picked up a basic lip tint and clear gloss. Hopefully these all work out well!